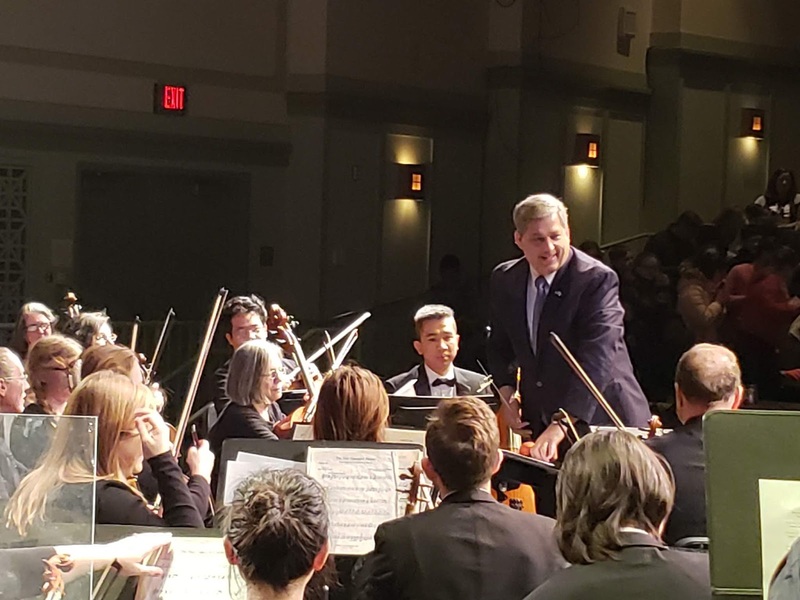 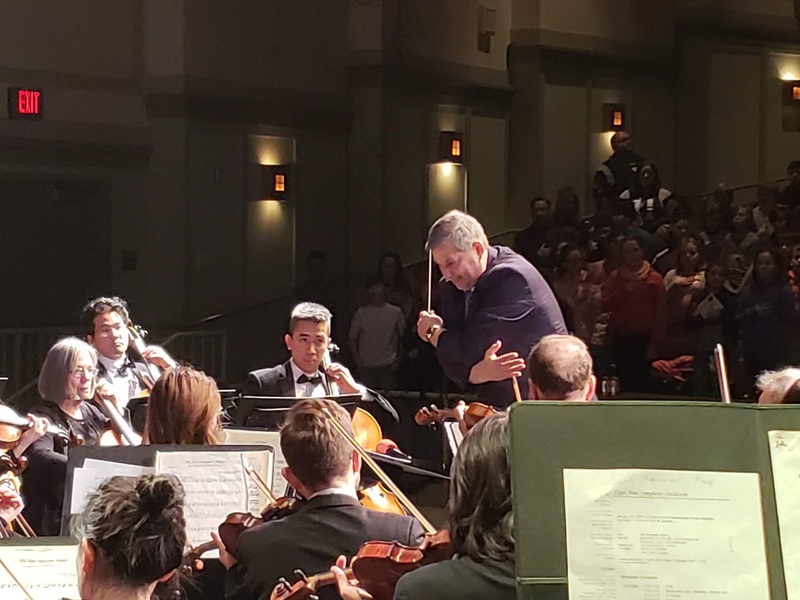 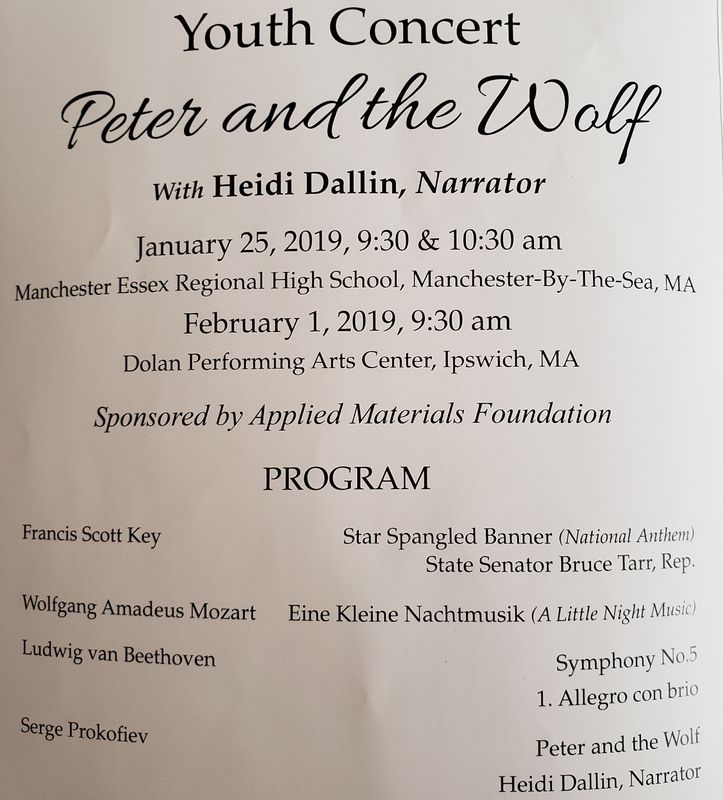 The Dolan Performing Arts Center in Ipswich was the place to be today to hear the Cape Ann Symphony perform the second in a series of youth concerts . 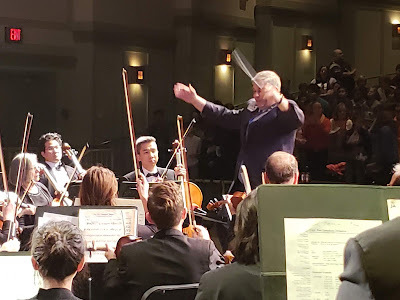 Musical Director Yoichi Udagawa offered me the baton to conduct the Star Spangled Banner. 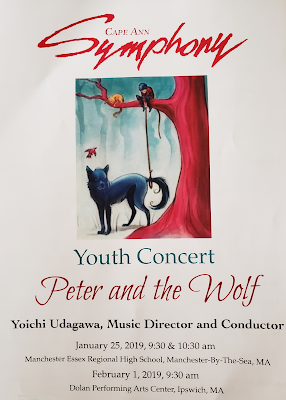 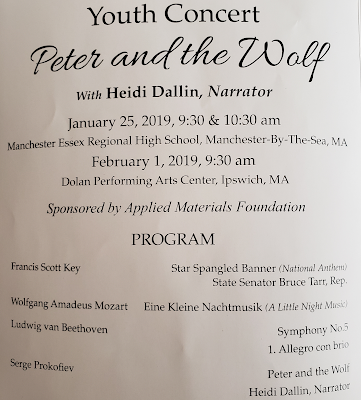 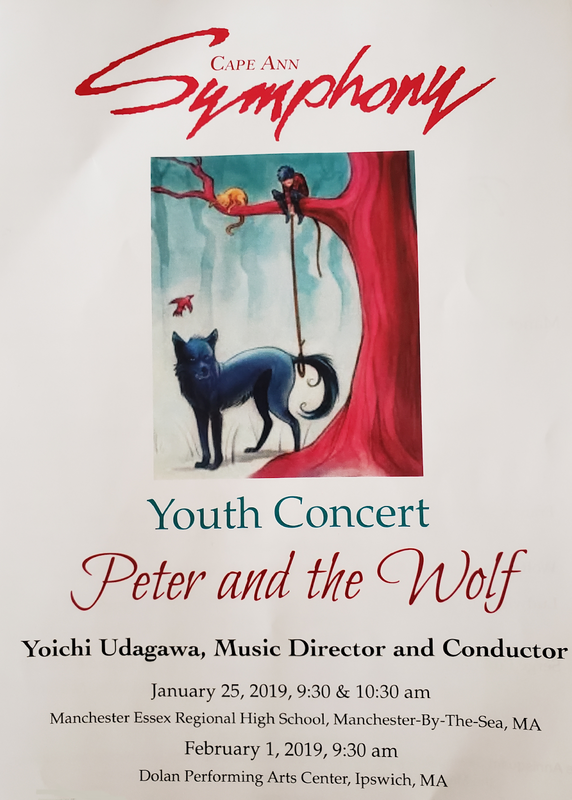 The concert featured Sergei Prokofiev's Peter and the Wolf which was narrated by Heidi Dallin.